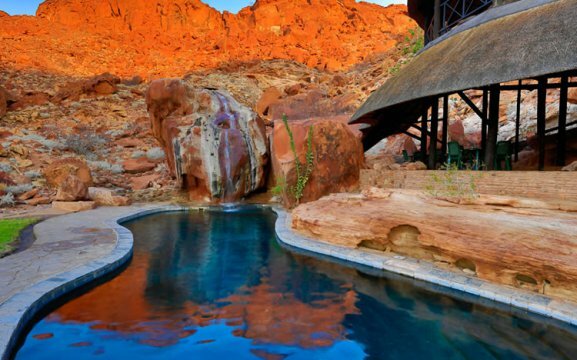 Twyfelfontein Country Lodge is located close to the World Heritage Site of Twyfelfontein. 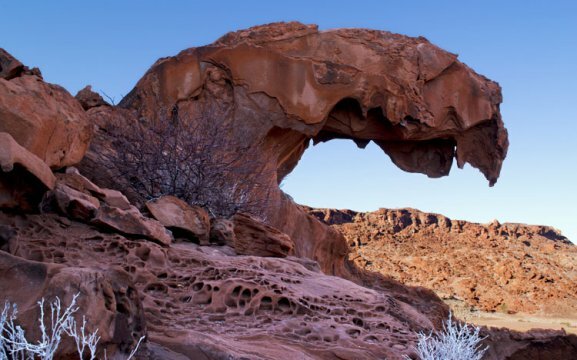 With its interesting rock formations and rock paintings, guests can see the most prominent geographical features such as Organ Pipes, Burnt Mountain, Doros Crater and Petrified Forest. 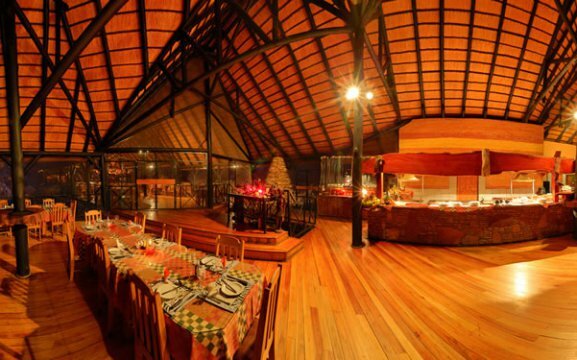 The lodge features a swimming pool, curio shop, lounge, dining area, bar and reception. 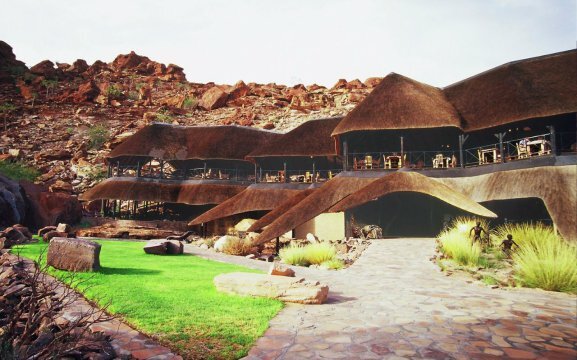 The flora and fauna of Damaraland is – the Desert Elephant, giraffe, springbok, zebra, oryx and ostrich; with the magnificent Welwitschia mirabilis and Moringa. 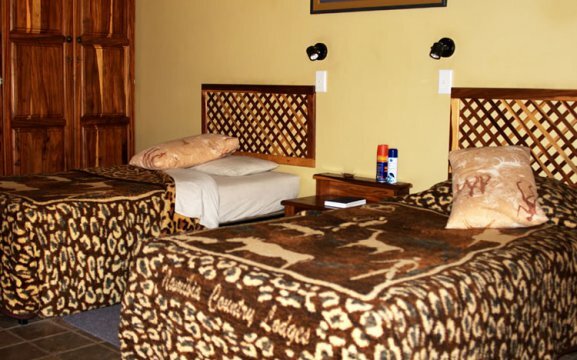 Our accommodation comprises in double rooms and one VIP Suite. 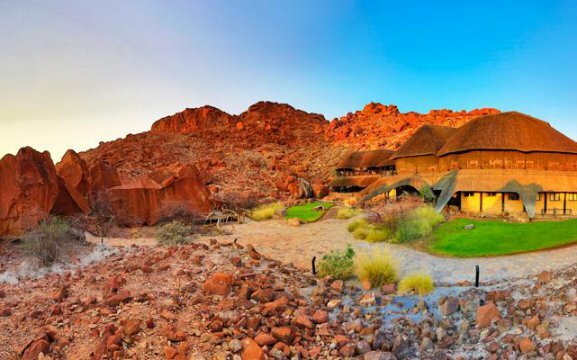 All rooms are decorated and built with natural stone and paint colours to blend in with the surrounding rock formations. Each room has en-suite bathroom with a shower, wooden furniture, fans and tea/coffee station. Some rooms have inter-leading doors, ideal for families. Our VIP Suite features two bathrooms (one with a bath), private pool and bar, comfortable spacious bedroom and a kitchen. 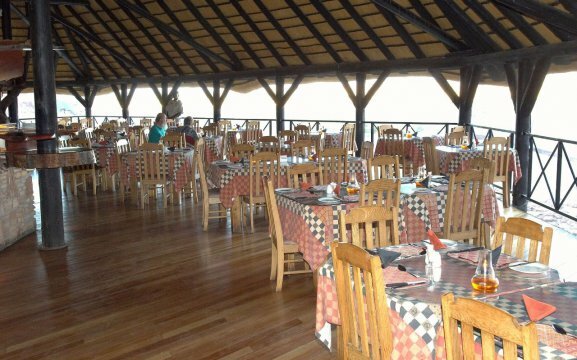 Our restaurant served buffet breakfast and dinner in the elevated dining area, with spectacular scenery. After dinner we have our staff in uniform performing their local songs. Lunch packs can be arranged. 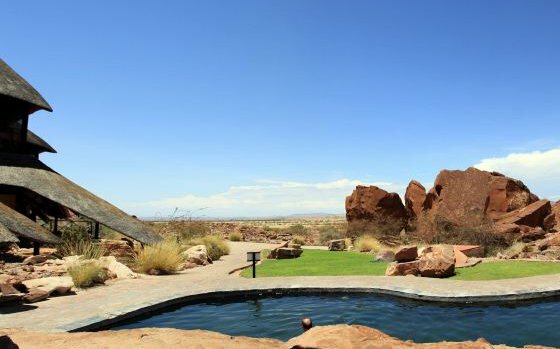 Our activities include a Dry River Drive, Game Drive, Rock Engraving & Petroglyphs, the real Adam & Eve, guided hiking trails, stargazing and cycling. 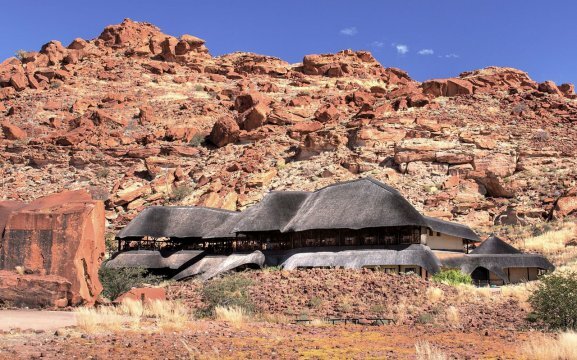 Guests can be taken to the Seven Plates, named for the surfaces where rock engravings are located. We have the Adam & Eve rock engravings and Bushmen paintings. 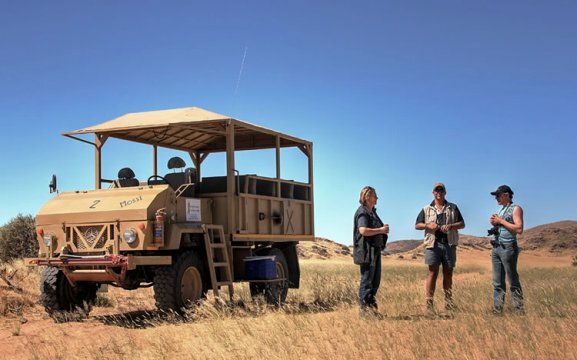 For the astronomers we have stargazing in the evening, here guests will see the southern night skies through a telescope and learn more about the stars. 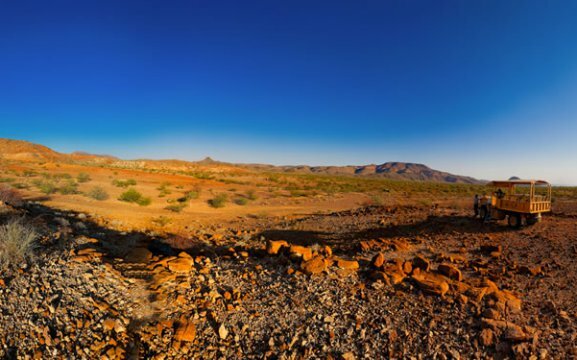 Twyfelfontein also offers hot air balloon trips, flights over the area by light aircraft and guided safaris into the surrounding wilderness areas.